When co-founder Jane Rockett was in her 20s her friend was a member of private members club, Blacks. At the time the club had beautiful wall sconces like this Brass Octagon Wall Sconce adorning the walls and she loved the magic it created! 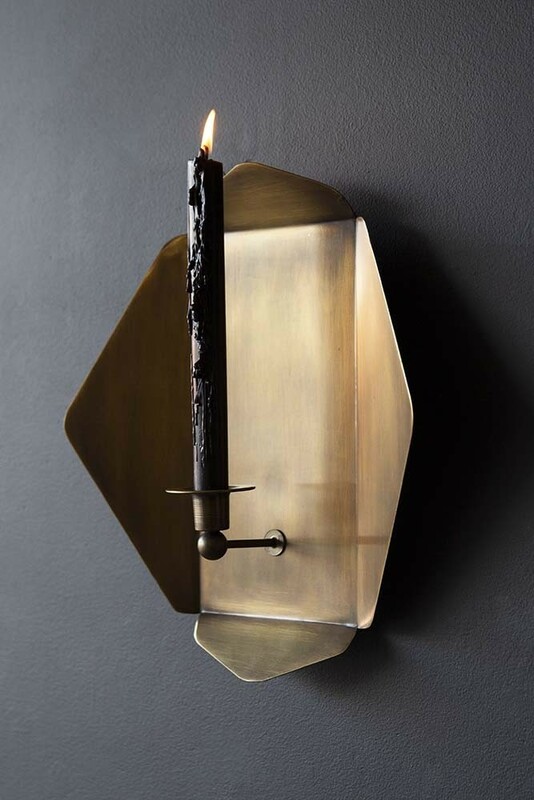 So, to replicate this beautiful magic, Jane loves hanging wall sconces in her own home – Afterall, we all look better by candlelight! A beautiful geometric shape in brass, hang the Brass Octagon Wall Sconce in your living rooms, hallways, bedrooms and bathrooms to create beautiful pockets of candlelight in the home – the ultimate way to create drama in your interiors!